My first Greek Easter | Where's my backpack? I just experienced my very first traditional Greek Easter, and I didn’t even have to go to Greece. Instead, I headed out to Long Island with a Greek friend of mine who had generously invited me to join in her family’s celebrations. 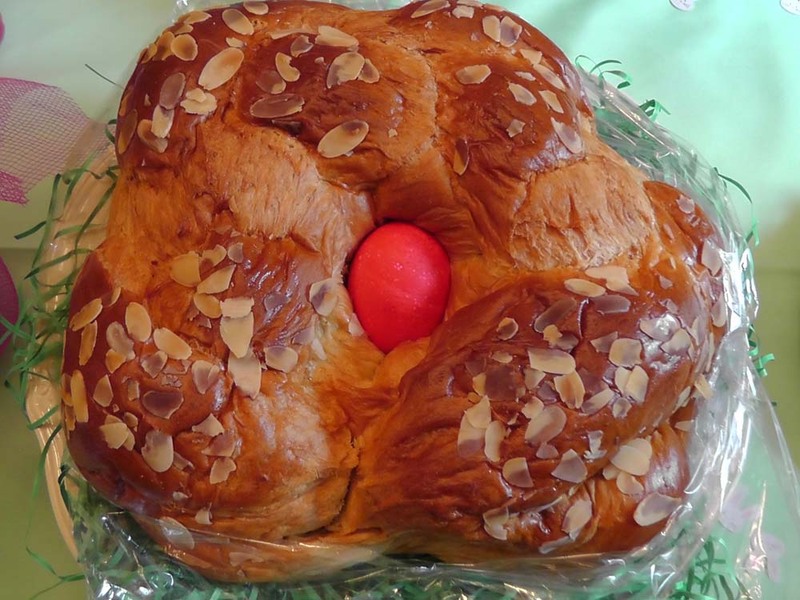 Tsoureki – the traditional bread of Greek Easter celebrations; it is a sweet eggy yeast bread flavoured with orange and exotic ingredients such as mahlepi (made from ground cherry stones) and mastiha (ground resin from Mastic trees that grow on Chios). The little pearls of resin, before they are ground up, are called Tears of Mastic, because legend has it the mastic trees started weeping when Romans tortured and killed Agios Isidoros, an Egyptian living in Chios, for worshipping at a Christian church. Tragic as the legend of mastiha may be, it lends an exotic flavour to this sweet, gently-fragranced and delicious bread, which is braided in a circle and has a red egg baked into the top. 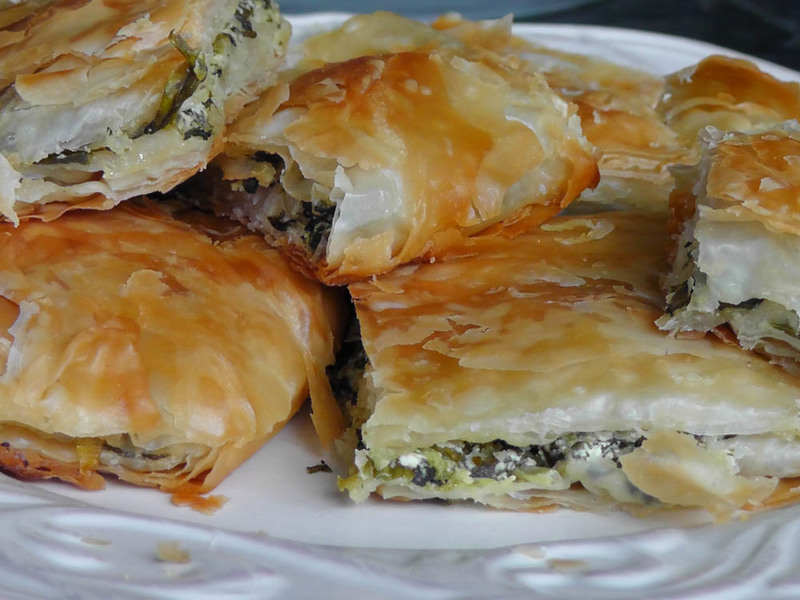 Spanakopita – now I’ve had spanakopita before, in fact I practically lived off that and watermelon during my times in Greece, but I’ve never had the home-made variety. The filo pastry was melt-in-your-mouth magic, with just the right ratio of cheese to spinach and drizzled with delicately-flavoured olive oil. And last, but certainly not least, another divine filo creation, Galaktobouriko. 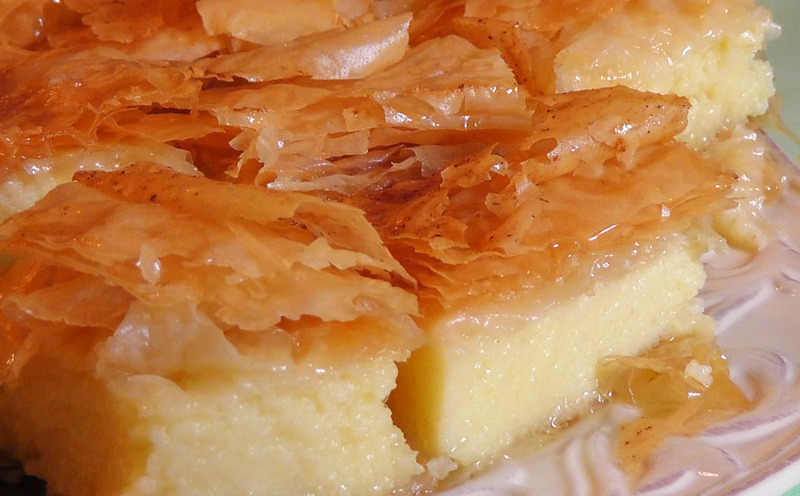 The creamiest of custards, semolina-based, is sandwiched between flaky filo and drizzled with syrup. The key to this pastry’s success was that it wasn’t overly sweet. All too often I find custard-based pastries cloyingly sugary, but here the egg custard had only a suggestion of sweetness, allowing the other flavours to shine. It was ridiculously delicious and impossible to resist having a second piece. Admittedly, I didn’t try very hard to resist. That reminds me, I have got to email my friend for the recipe. 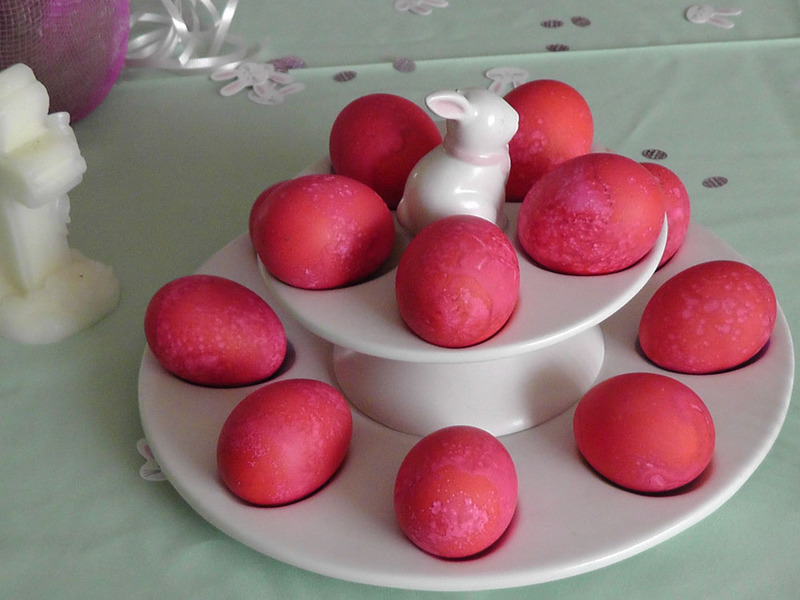 Happy Greek Easter, everyone. This entry was posted in Photography, Travel and tagged food, holidays, photography, photos, pictures, postaday, travel, writing. Bookmark the permalink. Aha, the sign of a successful food photo is if it makes you hungry 🙂 What part of Bulgaria are you from? I love that you have egg fights too, any culture that includes food fights is alright by me!